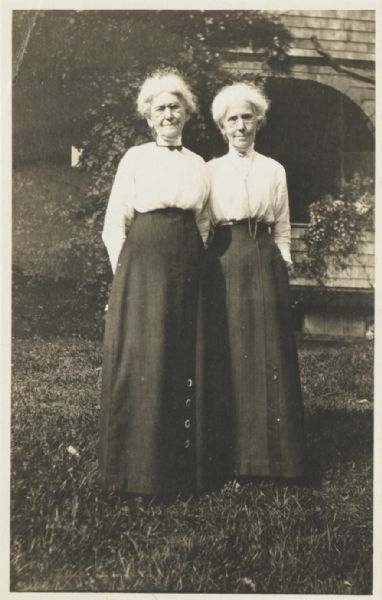 Portrait of Ellen Lloyd Jones and her sister Jane Lloyd Jones standing in front of the Hillside School which they founded and managed. Both sisters wear eyeglasses, high-collared white blouses, and long dark skirts. The Lloyd Jones sisters were aunts of the noted architect Frank Lloyd Wright.